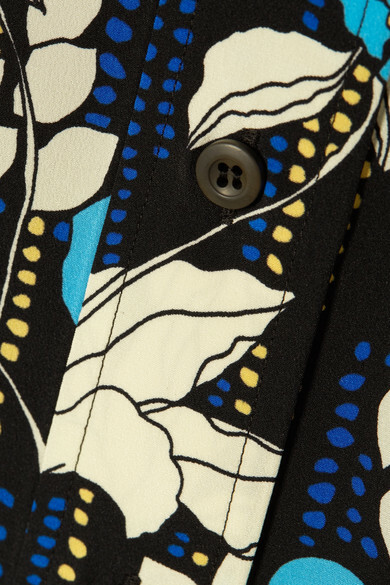 Miuccia Prada has never shied away from color or patterns, so why should you? 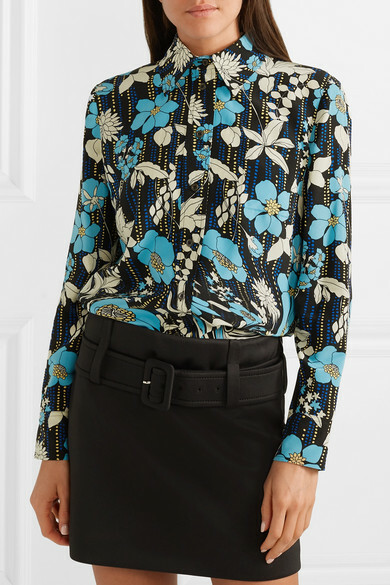 This shirt is cut from silk crepe de chine with a psychedelic floral design and the label's moniker in '60s-inspired lettering. Keep it the focus of your outfit by pairing it with an understated skirt. 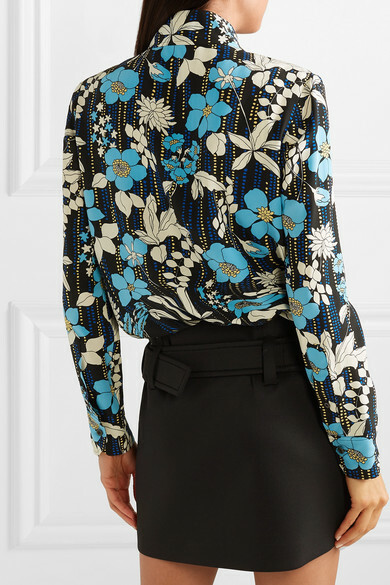 Shown here with: Givenchy Top, Prada Belt bag, Prada Point-toe flats.